A complete brake job should restore your vehicle’s entire brake system and braking performance to exact factory specifications. That’s why Downey Nissan offers full brake services. This involves replacing the brake linings — brake pads and/or shoes — resurfacing the rotors and/or drums, flushing out and replacing the brake fluid, bleeding the system as needed, and inspecting for other worn components. Downey Nissan will get all of this done, and we’ll get it done right. But more than that, we give you the option of selecting how you would like your brake job completed. 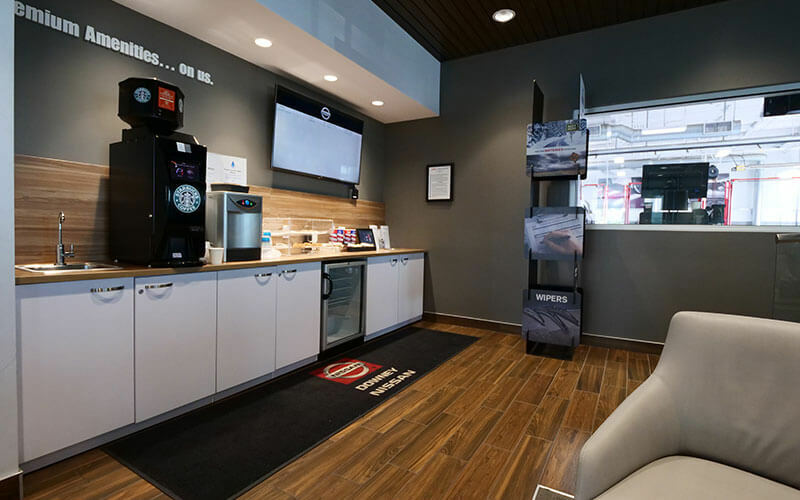 You can choose to have Genuine OEM parts and products used for your vehicle’s services, or you can select our Nissan Value Advantage Brake Job. 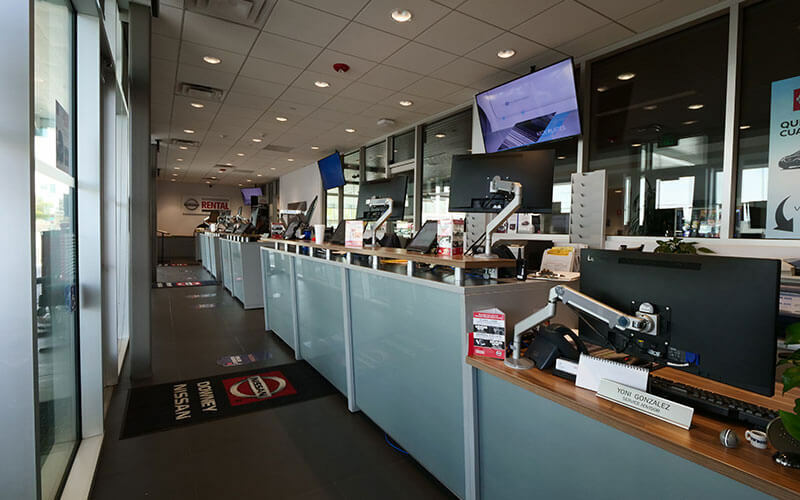 This means our team of Nissan experts will utilize Nissan Value Advantage parts and products when working on your vehicle. Unsure whether or not it’s time for a brake job? If it’s time to get your Nissan’s brakes serviced, schedule your Value Advantage Brake Job with Downey Nissan today. We look forward to earning your business! Unsure when your last air conditioning system service was or if your vehicle is due for service? Our expert Service Advisors can help! Call us at 888-483-6228, schedule an appointment, or stop by our service drive open 7 days a week. Nissan Value Advantage is a line of parts sold by Nissan that offers quality comparable to our OEM products at prices comparable to aftermarket parts. Every item from our Value Advantage is tested and validated by Nissan Engineers for fit, form, and function to guarantee high-quality durability and performance. Nissan Value Advantage products feature heavy part consolidation in comparison to OEM parts. This just means there is a lower inventory investment for dealers, increasing probability that the part you’re looking for is in stock when you need it. 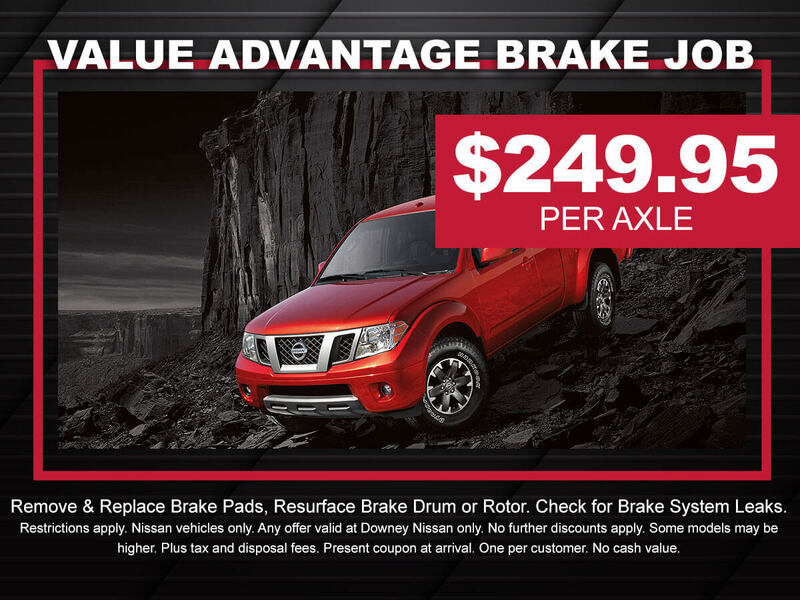 Value Advantage Brake Service can be a great and affordable option for Nissan drivers. 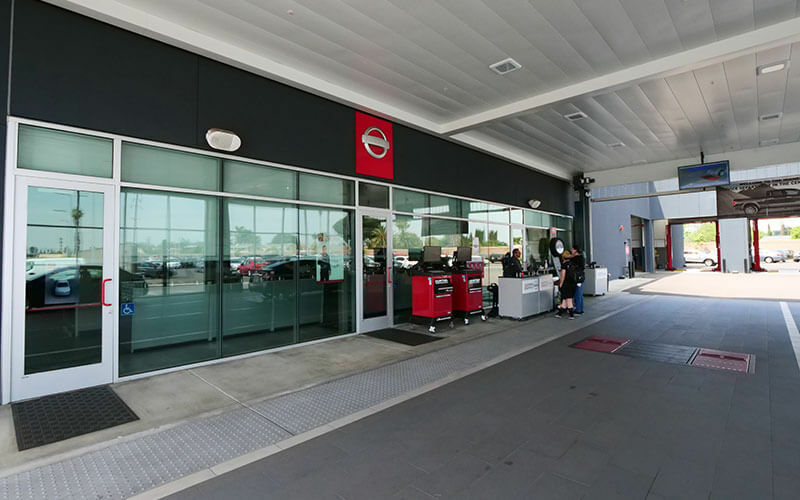 If you’re a Nissan Driver in the Downey, CA area, Downey Nissan is the place to go for your Value Advantage Brake Service. 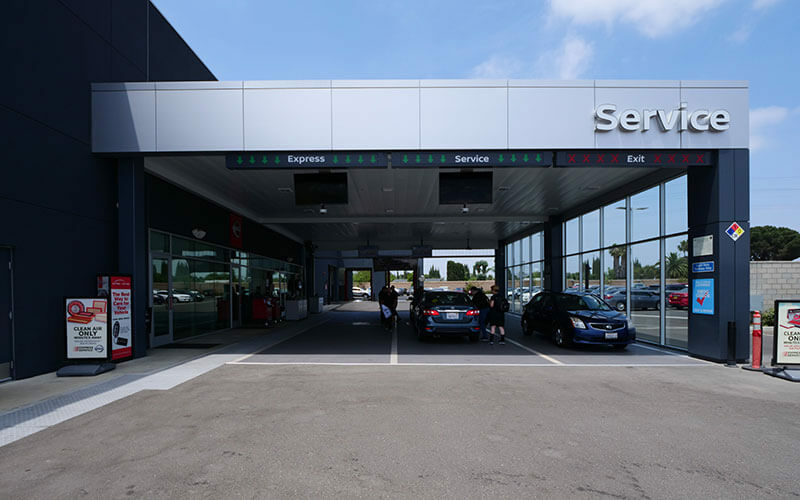 No other aftermarket shop will know your vehicle inside and out the way we do or offer the same high quality, Nissan Approved Products and Services. 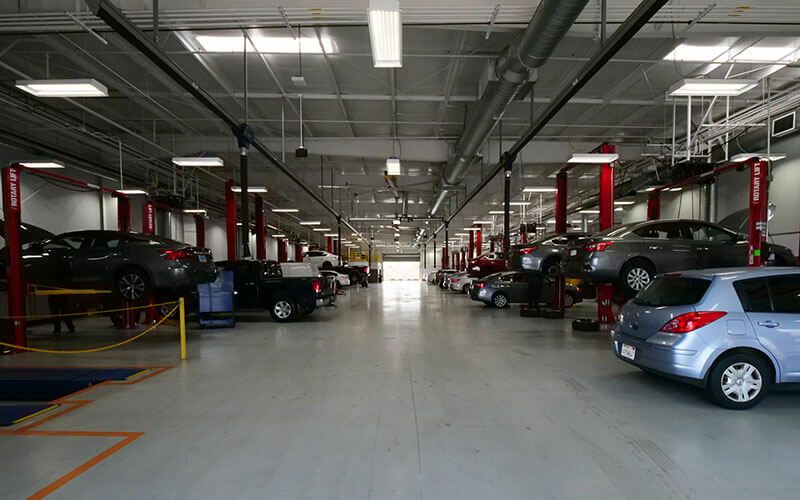 If it’s time to get your brakes serviced, schedule an appointment with Downey Nissan! You can book your service online or call 888-483-6228 to speak with a member of our team directly. Don’t wait to get your Value Advantage Brake Service performed. 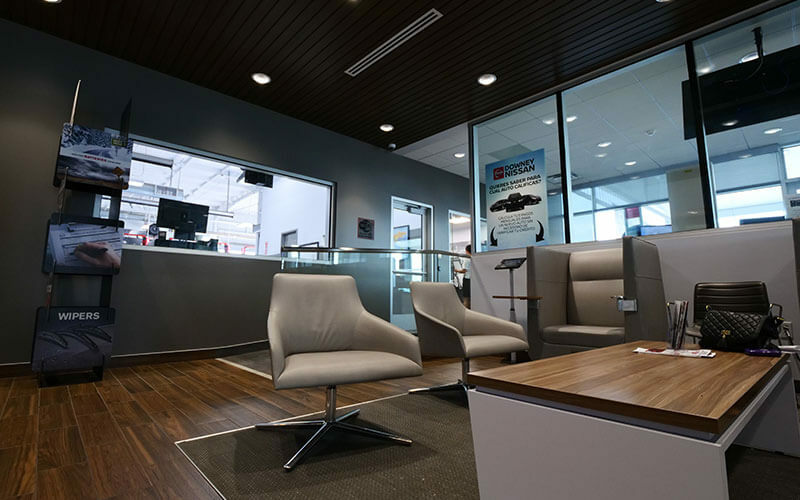 Schedule an appointment today with Downey Nissan! You can book an appointment online, or call our service center to speak with a member of our team directly. We look forward to earning your business!